If your teeth are a little out of line, you might be thinking about asking your dentist how you can get a straighter smile. Then again, maybe you don’t mind that your teeth aren’t perfect; you’re comfortable with the way you look, and you don’t want to go through the process of getting Invisalign in Frisco. But you shouldn’t fool yourself into thinking that straight teeth aren’t important! 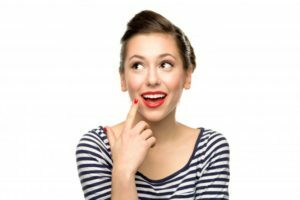 Consider the following six reasons why a well-aligned set of pearly whites can make a big difference in your life. One study found that about one in three people notice others’ teeth first thing. That’s right — it’s not your hair, your skin, or your fabulous outfit that calls attention to you; it’s those glorious little chompers inside your mouth. If your teeth are crooked, you’re missing out on a golden opportunity to make a fantastic first impression on that cute guy across the coffee shop or that lovely lady who just started working at your office. When you think about people you’ve met recently, what is the first thing that comes to mind? Is it their smile? Almost half of people think that a smile is the most memorable feature of people they meet. You don’t want a close-lipped smile that doesn’t show off your personality or a smile that is full of teeth you aren’t proud to let the world see. Sure, it may seem shallow and unfair, but the sad fact is that people with straight teeth might be more likely to land a job than those with crooked pearly whites. Why is this so? It’s hard to say for sure, but one reason might be that a well-aligned smile can make you look more professional. Crooked teeth could make your love life suffer! One study found that about 40 percent of people would consider forgoing a second date with someone whose teeth aren’t straight. Forget the fancy clothes, overpriced handbags, and gadget-loaded car. If you want others to see you as having a good life, think about getting braces in Frisco. Folks who are blessed with well-aligned teeth are often perceived as more successful than those whose mouth isn’t in the best shape possible. According to one study, 37 percent of people perceive individuals with crooked teeth as less attractive than those with straight teeth. It’s also worth noting that people with misaligned pearly whites are also viewed as being less confident. Your teeth have a huge role in how others view you! If you want a better smile, why not talk to your dentist about Invisalign in Frisco? At Stonebriar Smile Design, we’re committed to helping our patients achieve allover wellness, whether they have serious oral health problems that need addressing or they just want the boost of confidence that comes from a more beautiful smile. If you have questions about Invisalign, please contact us at 972-377-7800.